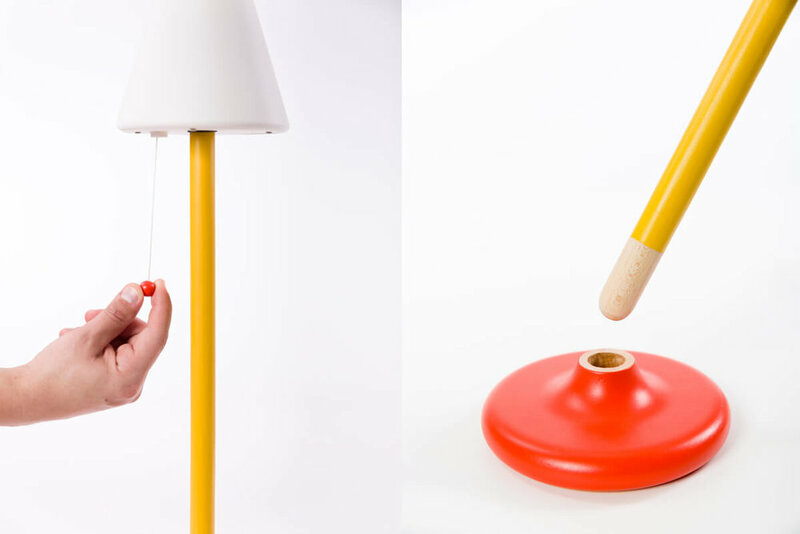 KLONAS is a night lamp inspired by and made for children's games and pretend play. 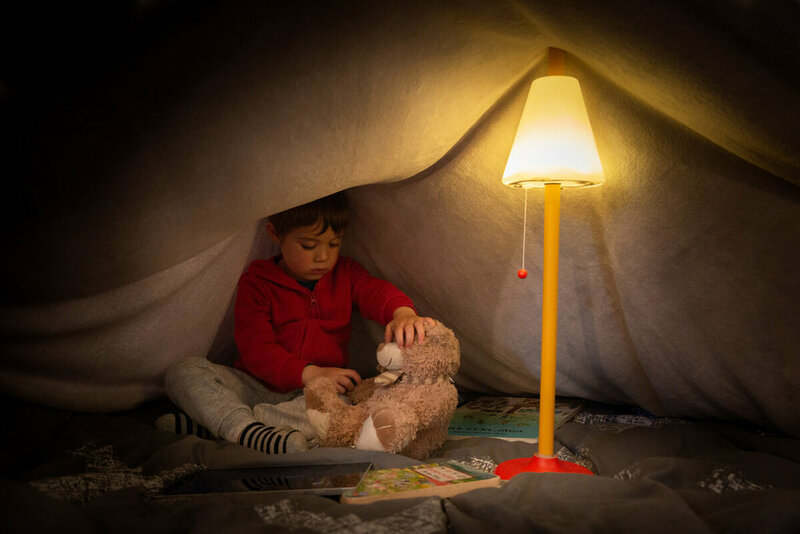 The battery-operated, LED illuminated lamp was designed to be used as a prop, blanket-tent pole or a torch. 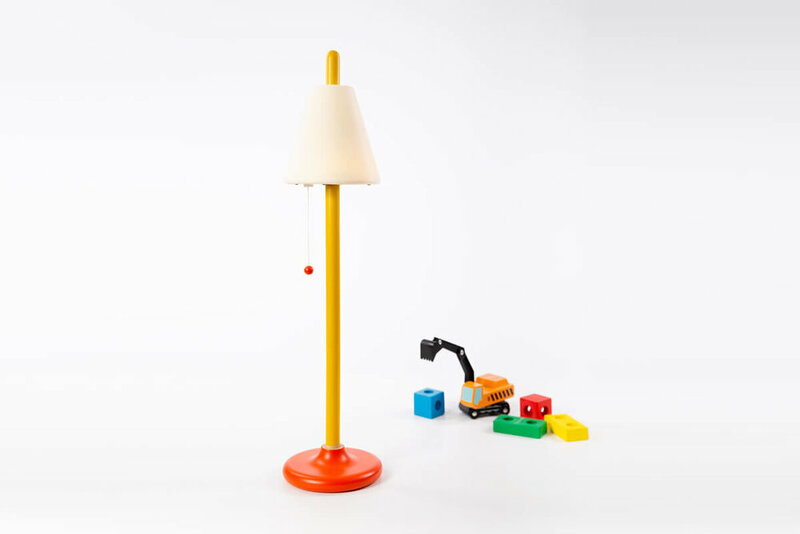 Made out of wood and elastic plastic, it is lightweight enough for a 4-year-old child to hold and play with, and durable enough to absorb hits and falls. The work was made for the Jerusalem Design Week 2018 as part of the "Matchmaker" project, curated by designer Daniel Nahmias. It was exhibited in Hansen House during the 7.6.18-14.6.18. Collaborating with the engraver Eitan Goren, aged 81, with 60 years of experience in his trade and one of the last conventional engravers in Jerusalaem. Together we created a series of reading stands cut by automated CNC. The choice of reading lamps was not by chance: in the last two decades, computer screens and mobile devices are taking the place of books and traditional reading, and together with them the need for reading lamps. At the same time, their iconic form and long tradition of using them seem to be preventing their disappearance for the time being. I felt that a Design Week dealing with preservation was the right time to design and create a kind of atrophied table lamp, more of a sculpture than a practical item. All lamps shown here are for sale. for further information please contact me at amir@zobels.com. Pindaloo is a new design-patented skill toy, member to an exclusive family including some of the most familiar and famous toys ever made: Yo-Yo, Devil-Sticks, Japanese Kendama, Astrojax, Diabolo and more. Like other skill toys, Pindaloo combines basic components with a simple action principle, which together create many possibilities of play and fun tricks. With a long learning curve and wide range of expertise levels, Pindaloo has a lot to offer to beginners and professionals alike. The product is marketed worldwide since May 2018. A system of stackable small shelves which are hung from their upper part. In addition, they can be attached to each other like a puzzle, therefore minimizing the number of necessary attachments to the wall. This has another advantage since it enables the customer to easily create different lengths according to specific needs. The project was originally designed for "Keter Plastic" corp. The OLED panel has two prominent advantages - the first that it's very thin - only a few millimeters wide - and the second that it's very light. 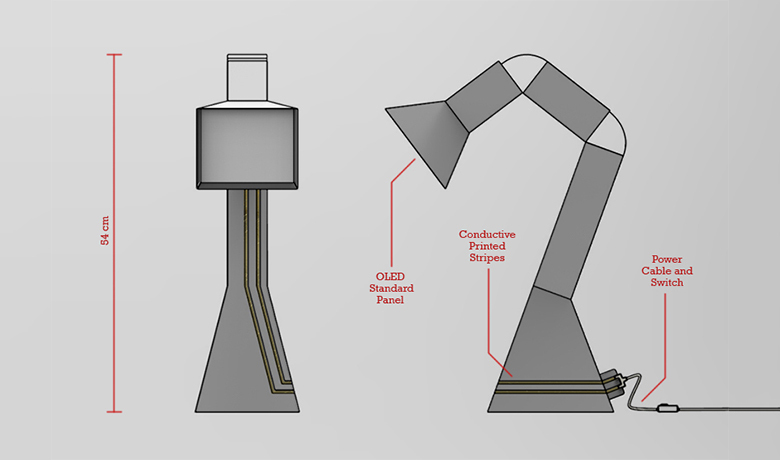 Because of these traits a panel of OLED can be packaged easily in a regular size envelope. 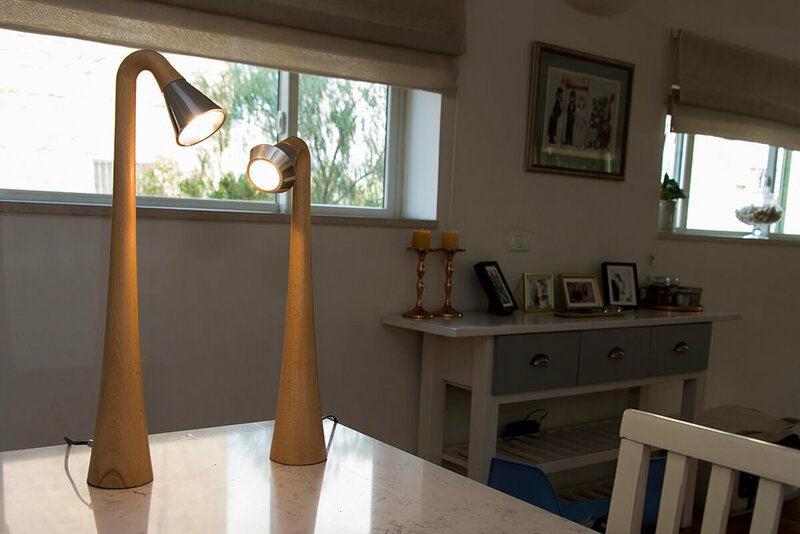 However, in order to utilize these traits for commercial purposes, a suitable small volume lamp or lighting fixture is needed. The "Folio" does just that - a lamp made of a single millimeter cardboard sheet. The flat-pattern of that sheet can be inserted into an envelope so it preserves the advantages of the OLED panel. 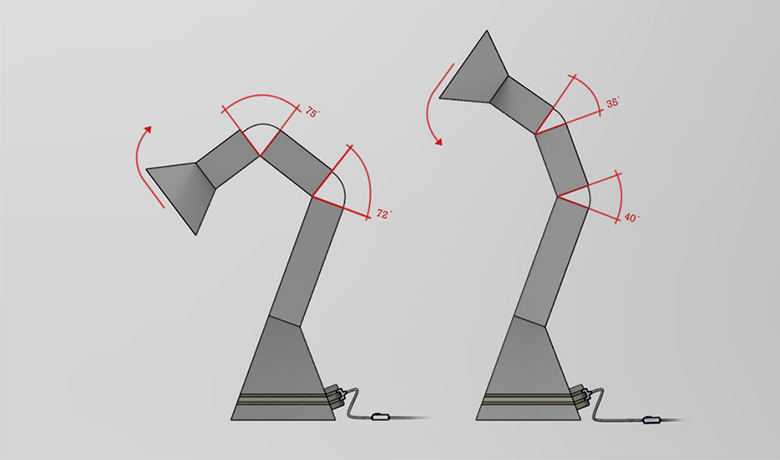 After taking out the pattern from the envelope it needs only to be folded according to the marks, and in a short while it becomes a fully functional desk lamp. 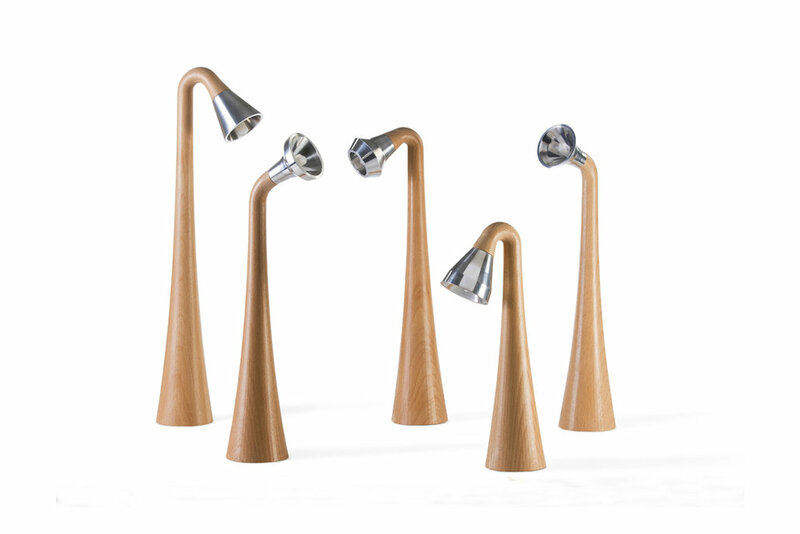 In addition, two hinges, which are based on the flexibility of the material, enable the lamp to be adjusted into different lighting angles. Using a cardboard sheet has another plus: it can be easily manufactured in different colors and textures. It can be sold online, and clients can choose a design which caters their need and taste. The printed pattern can be packaged in an envelope and sent anywhere - as the messenger of the OLED technology to the world. The "Core" mezuzah design symbolizes the importance of the written word in the history and culture of the Jewish people. The mezuzah holder is made up of 42 movable frames, threaded by the parchment itself, which serves as a foundation for the structure. 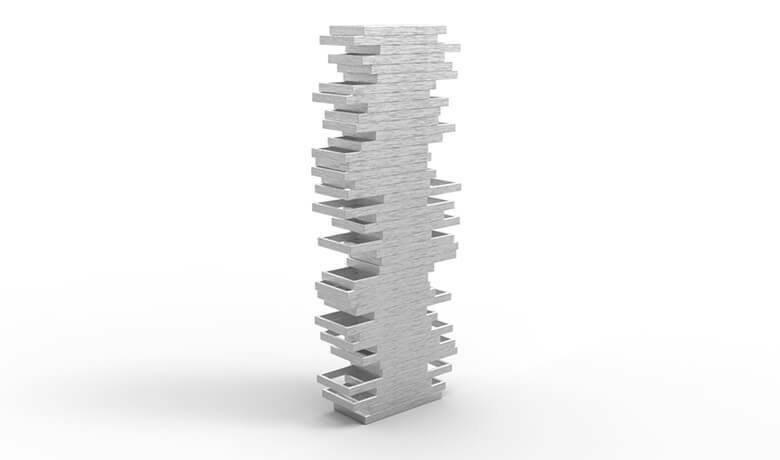 This is a three dimensional representation of the powerful relationship between the Jewish people and their scriptures: just like the Jews were scattered and torn apart, but held united for thousands of years because of their common traditions - so the mezuzah holder remains united thanks to the piece of parchment it contains. The final shape of the mezuzah is determined only when it is set on the lintel; therefore it will always take on a unique form. 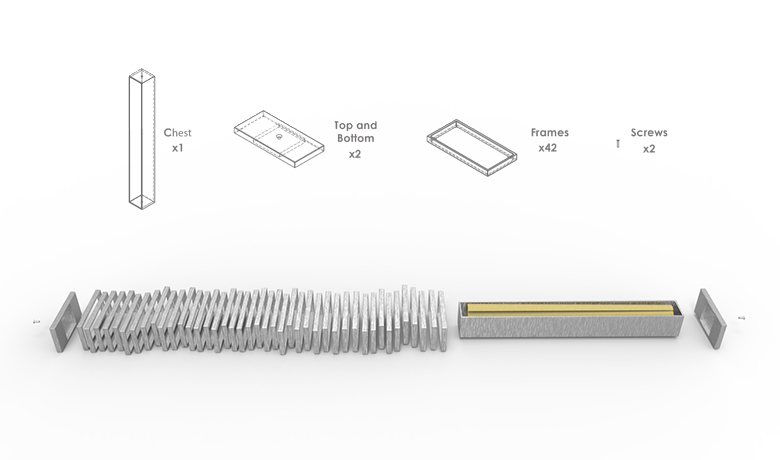 Each mezuzah will be placed in a slightly different way, making each mezuzah one of a kind. This is an attempt to let the one who sets the mezuzah leave their own personal mark on it, thus closing a symbolic circle between the people, their tradition and each individual preserving that tradition. The "Grasp" handle design was inspired by one of the most timeless and symbolic images of the human being - a baby holding an adult's finger. This image essentially represents the first gripping act every person makes in their lives and symbolizes a sense of comfort, warmth and security. 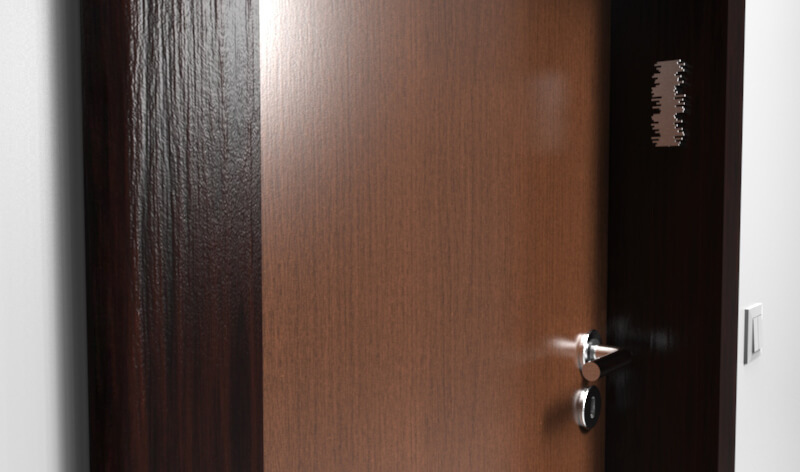 As the adult's finger metaphorically opens for the baby a small window to the world which surrounds him, door handles are literally the key for the outer world which surrounds us. 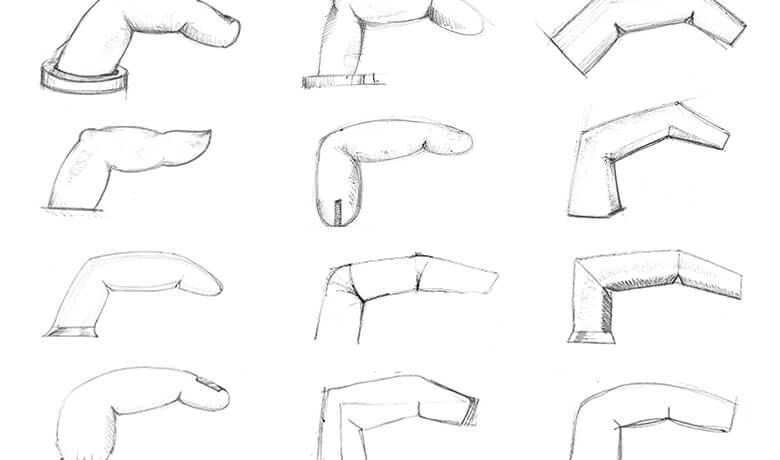 The work was shortlisted in Designboom's "Hands on Door Handles" competition. In collaboration with designer Tlalit Segal Raayoni. 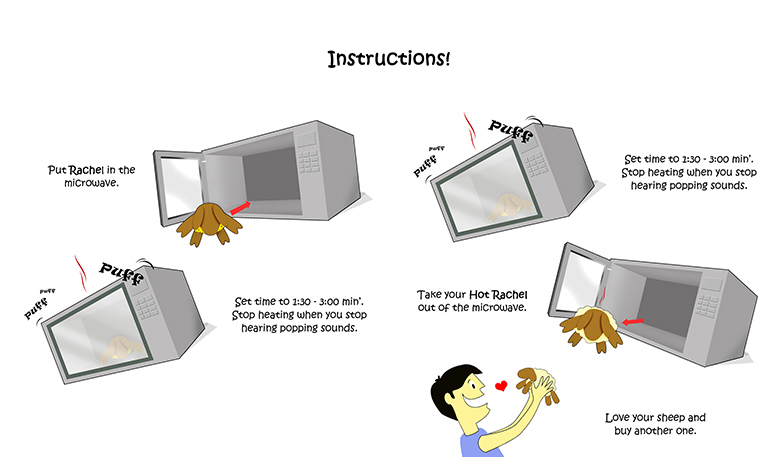 "Hot Rachel" is a unique popcorn bag, shaped as a sheep doll. It comes out of the package containing only corn grains, but after 1:30 minutes in the microwave it transforms into a lovely sheep, filled with delicious popped kernels. All the objects (closets, lighting bodies, counters etc.) were designed to be manufactured outdoors and assembled in less than a day. These functions were included in order to enable the store to remain open for a maximum amount of business hours, without having to close while altering the internal design of the display. "Johny's Knife" suggests a new way to serve appetizers and desserts. 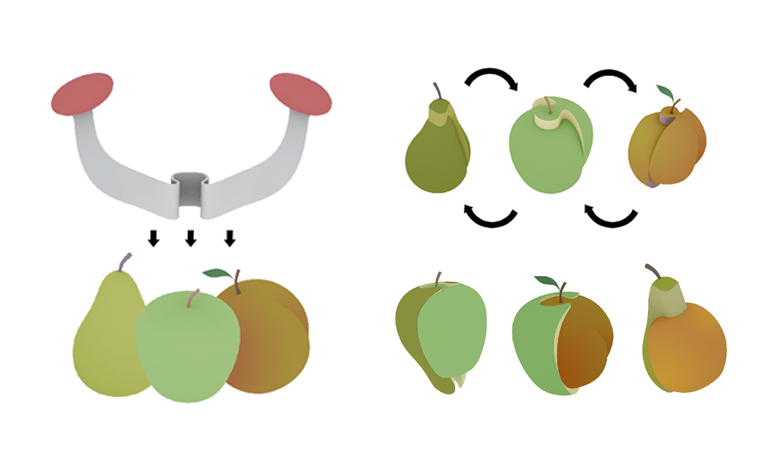 The knife enables the user to cut fruits and vegetables in the shape of a jigsaw puzzle, and after cutting - to create a unique and tasty jigsaw puzzle of his own. A new concept combining the modern and the classical: Outdoors the "Nad Ofan" is used as a balance bicycle, and when stored indoors - as a rocking horse. This is achieved by folding the cycles into the wooden body of the bicycle. 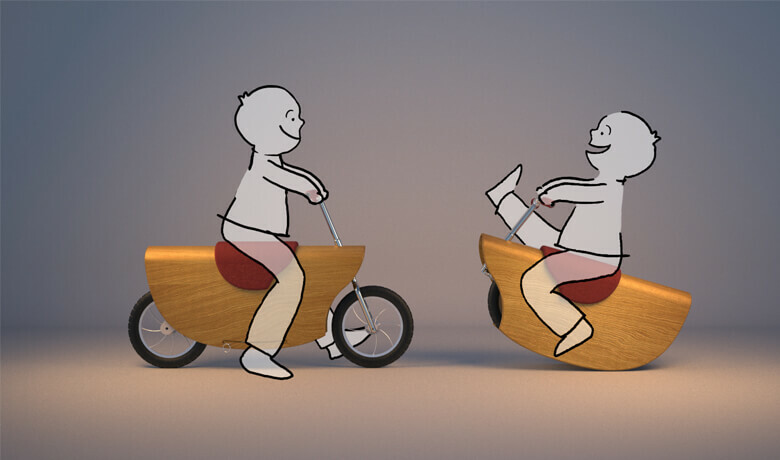 In this position, the cycles function as brakes, preventing the child from turning over while swaying. The "Nad Ofan" is for children around the ages of 3-4 years old.